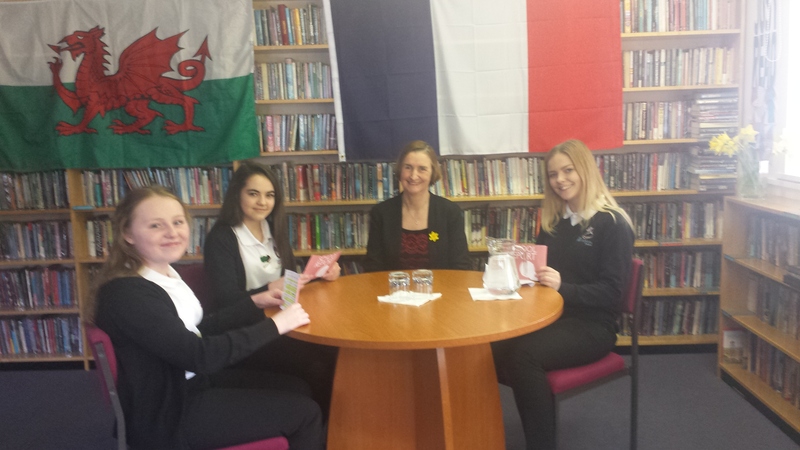 Bryngwyn pupils who are ambassadors for promoting the importance of learning foreign languages invited Nia Griffith MP to take part in a video they are producing to highlight the opportunities that speaking a foreign language can open up. The pupils decided to ask Nia to take part after hearing her speak at a joint event with other local schools on language learning. Before becoming an MP, Nia taught languages in local schools, and she has also worked abroad in France, Italy and Belgium.